Anyone can build a house, we build healthy, energy efficient family homes. 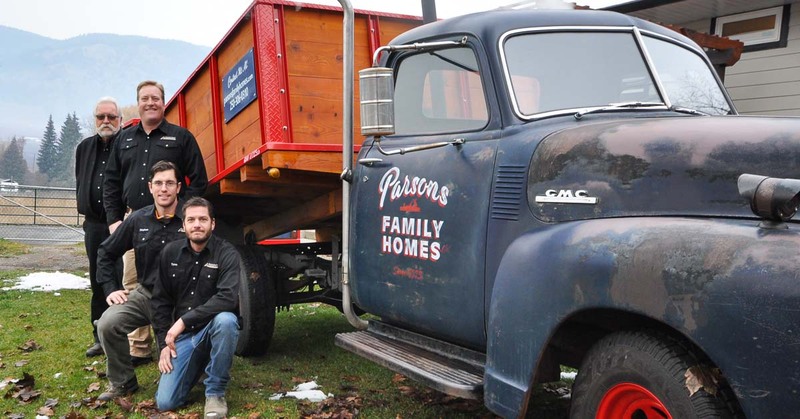 Parsons Family Homes has been building homes in the Okanagan for 43 years. That sets us apart! We care about the longevity of the homes we build and their environmental footprint. This makes us stand out in the crowd. Reducing energy consumption and maximizing the use of non-toxic and recycled materials are some of the options offered. Our team specializes in providing ideas to make your project unique. We provide services including site selection, design and drafting, as well as interior & exterior design. Every home built takes into consideration its environment and your needs. Parsons Family Homes specializes in features that add character and value to your home to make it a space your family loves living in. It takes specialized knowledge and skill to build a house that makes you feel at home. We have both and we use them to build healthy, energy-efficient homes that stand the test of time. Parsons Family Homes is a group of proven professionals dedicated to the latest in technology and energy efficiency. Our goal is to take care of all the problems associated with the design and home construction process and make your project worry-free from the start. From concept to completion our personalized service, experience and dedication ensure that your project is on time and on budget.